NOW WITH TWO FRONT WHEELS FOR MORE STABILITY! 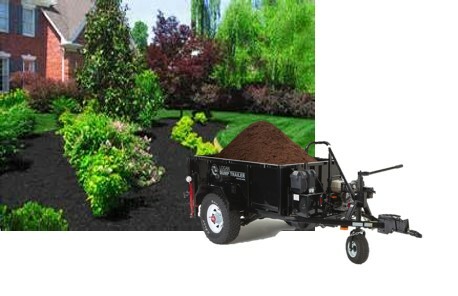 Welcome to Axis Corporation where we build the high quality equipment for landscapers and contractors of all types. 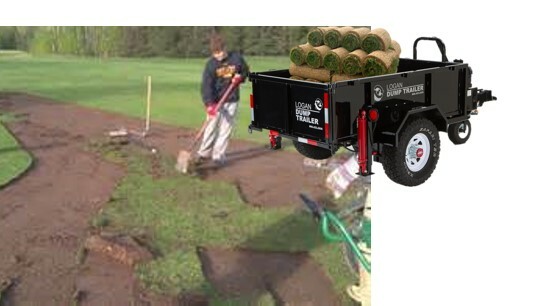 Our self-propelled dump trailer is new in the industry and will help your customers save time and money. 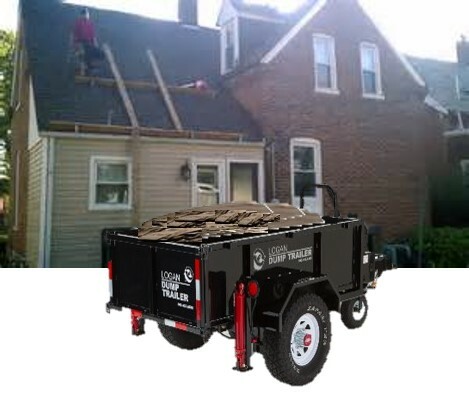 Rent the dump trailer to roofing contractors so they may move the trailer around the building structure, in lieu of putting the waste container in one place and walking across roofs to deposit the old shingles. We provide special financing, including leasing options that will not only allow you to make low monthly payments, while earning a profit on your rental fees; but also allows you to pay seasonally to accommodate your cyclical business, based on the weather patterns in your area of the country. 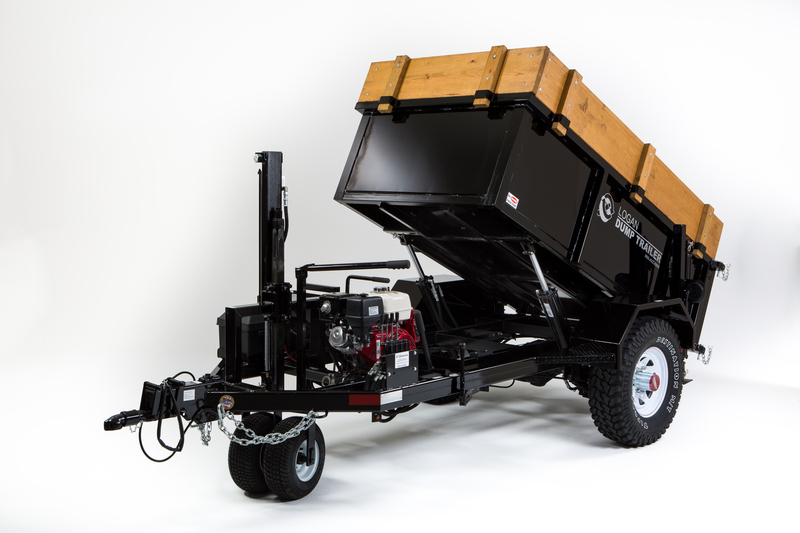 Our Axis Self-Propelled Dump Trailer is new for contractors and can be used for many landscaping and contracting jobs that will save your customer time on the work site; (which allows you to charge a higher rental fee). 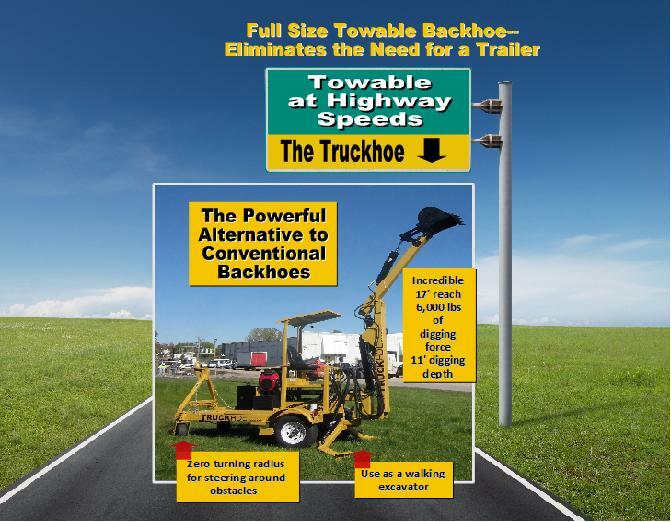 The Towable Truckhoe will help your customers save money and time because they have no need for a trailer to transport it. 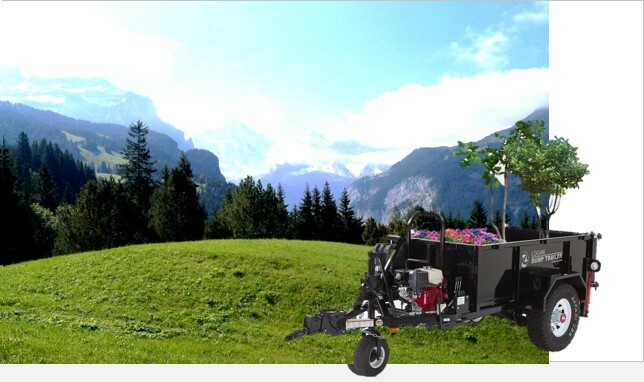 It also has features that cannot be found in traditional backhoes, such as zero turning radius to maneuver in tight spaces, or around objects, tires that won’t track up the landscaping, as well as being self-propelled at the work site. Since our equipment is so new and innovative, we have developed various marketing packages and videos that will help you introduce the equipment to your customers and the benefits of renting it, verses conventional dump trailers and backhoes. Contact us for information on your how soon you can see your return on investment with Axis equipment. Request information from us regarding how you can lease your equipment and earn a profit each month after making your lease payment. Call us if you would like us to visit your facility for a demonstration of Logan equipment. We can accommodate you during various times of the year, depending on your location and our travel schedules. If you would like to check your customers’ interest level prior to purchasing, call us and we will provide a supply of brochures for you to show them. If you are a Distributor, Manufacturers Rep or an Equipment Dealer and you are interested in representing Axis Corporation, call us, or click here to send us information, and we will contact you. Call us if your local ARA Group would would like us to sponsor a meeting.